Our Whitening Service is perfect for those of you looking to improve your home's curb appeal. 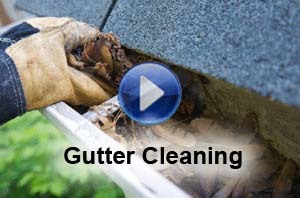 Removing the black stripes from your gutters is quick and easy for us. The black streaks or Tiger Stripes are the result of an electro-static bond in the powder paint on your gutters. 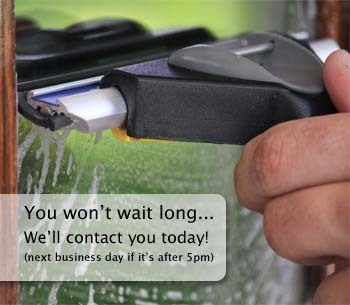 Traditional cleaners will not remove the streaking at all, bleach, soap or any other store cleaners. They require pro chemicals that separate the bond so they can be easily wiped away. 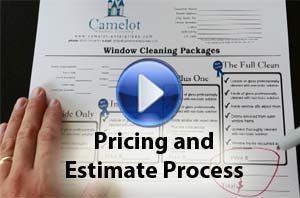 Our company can provide this service on almost any home. The most common type of rain flow system that we offer this whitening treatment for are the traditional aluminum white, or off white colors. We do not offer this service on homes with copper, stainless steel, or French drain style metals. 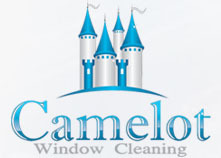 The products we use at Camelot for all of our gutter cleaning service are safe for vegetation and lawns when applied properly to the gutters and the home. We always try to do our best in the way of keeping all of our solutions and chemicals as green as possible. This gutter service treatment for aluminum metals is usually our only exception to our rule. Because the electro-static bond is so strong in the paint of the metal, the only way to remove it is with professional treatments like this one. The funny thing is we actually wanted a fully "green" treatment system, and have been working to develop one on the side. But even with our efforts the results are not good enough to sell in the market place. 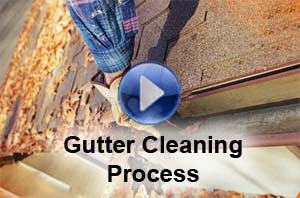 So we offer a solid professional standard gutter service that we know works every time. At least until we find a "greener" solution that will produce those stunning and lasting results that our service products do now. We will need to first clean out all of the debris in the aluminum channels and downspouts. We will perform a full inspection of the rain flow system ensuring no clogs are present in the downspouts. Once all of the home or buildings gutters are flushed out with water we can begin to apply the gutter whitening products to clean the outside of the gutter's face and restore it to it's former glory. This can be a big boost for curb appeal if you are trying to put your house on the market like much of Nashville now is, because of the rising and recovering housing market! Don't let those black "tiger stripes" stop your house from selling this year. This inexpensive gutter service can greatly increase the wow effect that your home will have on family, friends, and those potential buyers.